The property market now is now experiencing an all time high in terms of property pricing. Many people consider the market now very “hot”. If we take a look around us, we will notice that developers are building up more and more new development in the market. And all these development are all sold out during their launches. With each new launch, the property price goes up a notch. Developers are setting new high for property prices. These have, indirectly, helped to pull the property prices in the secondary market also higher, making the industry now very heated. Almost everyone is talking about investing into properties now. 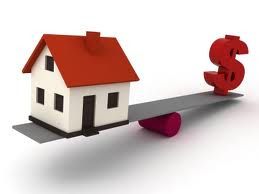 And the next question that everyone will ask; which property to buy - primary or secondary market? In my mind, the next important question is, are we buying into a fundamentally sound property or a speculative one? By buying into speculative property, we too contribute to the escalating property prices. The key here is to invest into fundamentals and the best reference is always the rental market. If you are going to buy property for investment purposes, you will need to either rent it out or sell. Selling prices are closely related to the rental prices as well, therefore, you always need to ask yourself “Who is going to rent your property and at what price?” Find out what the rental rates are like. With the exception of houses, a good benchmark for all residential investment grade properties is about 6% (or more) rental returns. If a property cannot achieve such returns, i.e. the selling price is too high as compared to prevailing rental rates; it is definitely not a good idea to buy. Besides rental returns, look out for the take-up rate of the properties in the surrounding areas and ask yourself, “Does it take too long for the tenants to fill up the space? Is there more demand or more supply of space in that area?” Also, who is your target market? Is it a growing or the numbers dwindling? With property prices on the rise and Bank Negara introducing measure, I tell myself that I must learn how to buy properties, instead of being part of the speculator. And that is when I meet my Property Coach. After knowing him, I bought my first property from the Penang market based on fundamental information and research. And at the same, I make almost RM10,000 cash from this deal, while still owning the property. My dear friend and Property Coach will be in Penang this coming Saturday, 15 Sept to share with you about the fundamentals of property investment. Most importantly, he will help you to determine the size of your property portfolio, which in turn is an indication of the type of properties that you can and should focus on. The success rate recorded thus far for Penang is a massive 83.3% i.e. for every 10 people that attended the property seminar, 8 will buy a property. This team, together with the previous 2 batches is working together to close deals and we are establishing a Real Estate Tycoon Club (RTC) in Penang. In the meantime, regardless of whether you are busy selling or busy buying, start getting busy. The worst thing you could do right now is to freeze. Many are either sitting it out or just plain afraid to get into the market. These are probably the same people whom do not invest in the worst of times too. My question is, if in the good times, you do not invest, and in the bad times, you do not invest, then when do you? Freemen is an organization which has been training investors since 2008 to benefit from any market. We’ve made 200 individuals more than RM3Million in profit, investing in over RM30Million worth of properties, ALL with no money down! Property Coach from FREEMEN will be in Penang on 15 Sept at 1pm onwards in Vistana Hotel. Book early as we will be expecting a full house. *SPECIAL OFFER: 1st 10 people to register in for this event will get a FREE map from Ho Chin Soon.